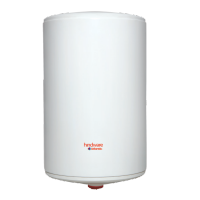 The Hindware Storage water heater is 50L Capacity. It's 8 bars of working pressure suitable for high-rise building. 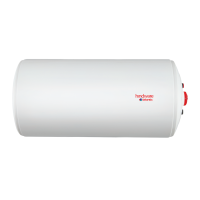 This water heater comes with Safety systems for protection against dry heating, overheating and over pressure. The water heater Superior quality SS304 grade tank construction and 2kW pure Copper heating element For high thermal efficiency. This water heater Elegant aesthetics to match your interiors. To Recieve updates and possible rewards for Hindware HS50MDW20SB1 please sign in. To Recieve updates and possible rewards for Geyser/Water Heater please sign in.